Just off the couch? Ready to get run but need some training and pacing guidance? 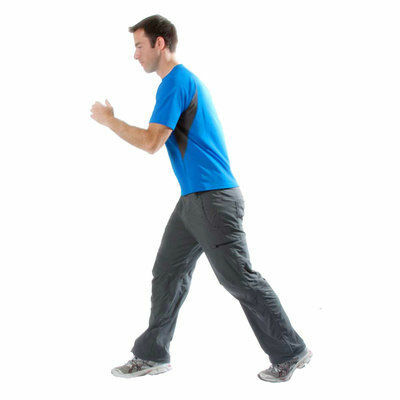 Start power walking and jogging through this beginnering running workout. Listen to your favorite iPod music and get going! Just started doing this again with my granddaughter and the beginning can be intense. But after cool down you feel so much better. As David reminds me, big things have small beginnings. This morning everything seemed more manageable. I pushed myself to go a little longer on the "run" sections. Shins were a little sore, but ok overall. Tomorrow I want to try "Around the Block", which is 3 rounds of: power walk 2 minutes, jog 8 minutes. Did workout in early morning again. It was quite cold (upper 30's / lower 40's), but it still felt good. Although I couldn't stop spitting, my lungs felt clearer. Friday was even colder, so no run, but Sat s/b warm. It was warm and sunny this morning. I did two "run" sections longer than a minute, though not by much. Did the Gordon Park trail again, to the crossing. Woke up pretty easily today, but it still took some convincing to get outside. The jog / walk went easily. I think I'd better do this workout for another week, then find the same workout at 30 minute length. Yesterday I woke up coughing so I felt I should already take a day off. This morning was cold, but I did get out to Gordon Park to do this walk/jog. It actually does help to energize me in the morning. First workout of the year 2013. The weather was chilly but manageable. Few dog walkers out at 6:30am on the Gordon Park woods path.